When you love what you do and are committed to doing things right, it shows. So we won’t give you the same old tired spiel about great quality, fast response, competitive pricing, and major awards. (Although we have an outstanding story to tell about all of these.) Instead, we’ll tell you why you really want to put Right Way Signs to work for you and why we’re far and away your best choice. There’s a right way to do things. And a wrong way. We’ve seen with our own eyes what happens when sign companies cut corners with inferior materials, mass-produced digital production, and uninspired design. That’s not us. Our name is Right Way Signs for one simple reason: we’re totally committed to creating and producing signs the right way. We are passionate about what we do — and we do it all. From sign painting to hand painted murals…from gold leaf to neon or electric signs…from corporate signs to menu signs…we exceed your expectations with signs that merge expertise, skill, and design. If you want a sign type that’s not on our website, ask us. There’s a good chance we can do it. We blaze our own trail. In an era of “digital exhaustion”, Right Way Signs is the real deal. While we can and will do digital design, the core of our business is handmade signs that exude unique design and character. 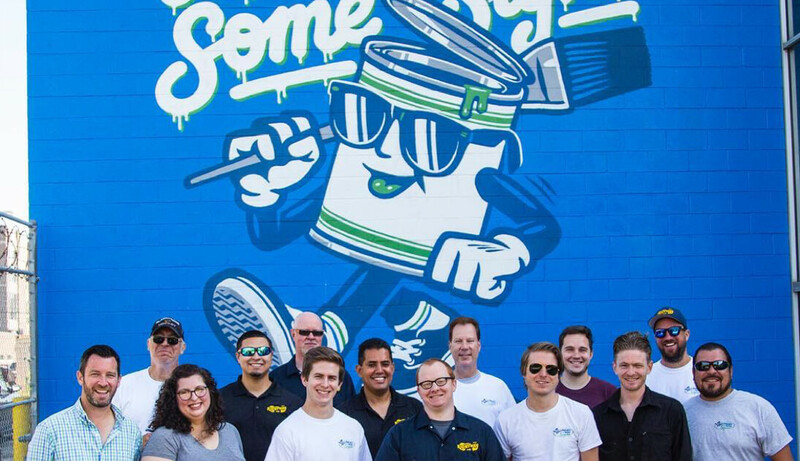 From sign painters and mural artists to designers and permit coordinators, we actively scout the best talent. Our people love what they do in our state-of-the-art Bucktown studio. And it shows. Stuff happens. A sign permit doesn’t arrive on time. An unusual request is made—for instance, the need for lettering signs up to 60 feet in the air. If it is at all humanly possible, we will put our heads together with yours and create a roadmap for moving forward. You can count on it. We bend over backwards to create satisfied customers. At the end of the day, we’re not a sign business. We’re a people business. Satisfied customers come back for more and they refer us to others. More importantly, satisfied customers make us feel good about what we do. We’re about creating happy customers—one customer at a time. We’ve painted and fabricated over 20,000 signs for clients in Chicago and across the globe—Australia, Russia, Japan, Africa and Ireland, to name a few. And we’ve been retained by some of the best companies around—Starbucks, Chicago Cubs, Goose Island Beer Company, Chicago Athletic Clubs and more. Reach out to us and find out what we can do for you. 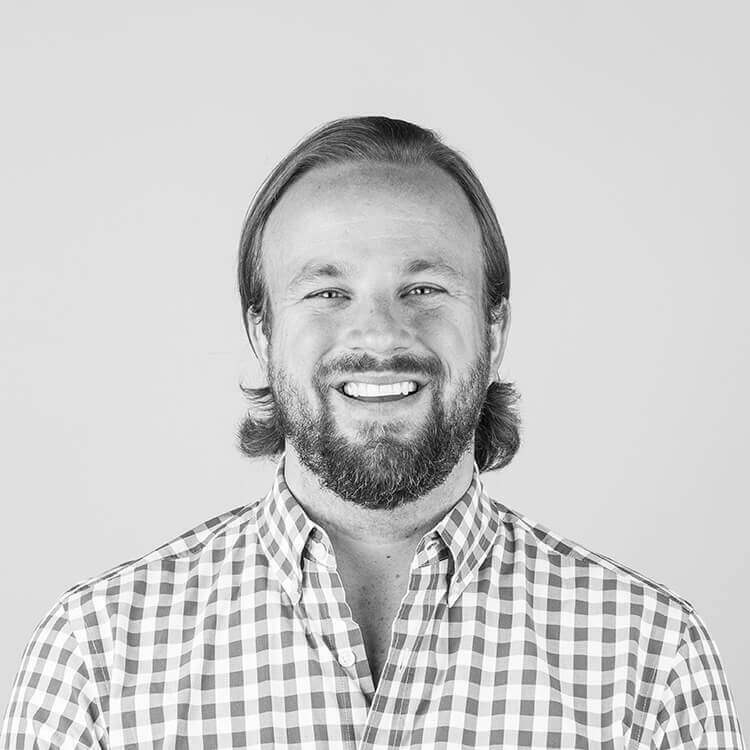 Alex Perry is the Founder & CEO of Right Way Signs. 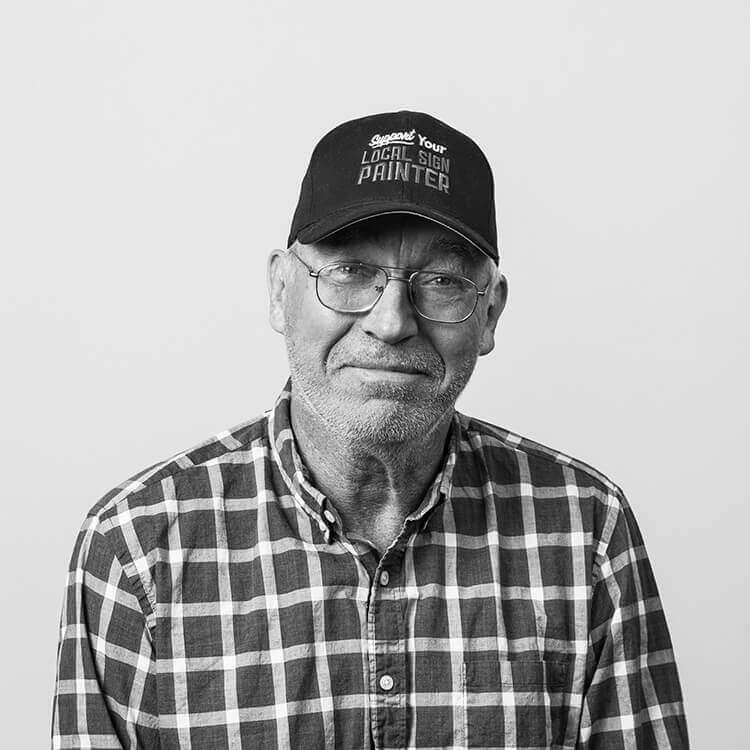 He grew up in the sign industry and worked along side his father Ches Perry from 2000-2005 at their former sign company in Evanston. Prior to Right Way, Alex was a Vice President for the Illinois Chamber of Commerce, the largest business advocacy group in Illinois, where he worked with businesses of all sizes to engage them in issues impacting their businesses at the local, state and federal level . Alex started Right Way as a side project in 2012 so his dad could get back to his roots in sign painting and it quickly took off and has turned into one of Chicago's premier sign firms. Alex graduated with honors from Northwestern University with a degree in Political Science. He puts his degree to use by advocating for a streamlined sign permitting process and was awarded the 2017 Sign Code Champion Award by the International Sign Association and the 2017 Distinguished Service Award by the Illinois Sign Association for his work on behalf of the sign industry and the business community in Chicago. Ches Perry is been hand painting signs since 1970, trained by the best at the Institute of Lettering & Design in Chicago where Perry received his degree. Perry’s business flourished through the 1970′s, 1980′s and the early part of the 1990′s, but the computer sign industry had taken over. Now in 2017, sign painting is back because of what one client referred to as “digital exhaustion”. Many signs today are “cookie cutter”, lacking any real design or character While Right Way Signs offers digitally printed and vinyl signage, clients are drawn to hand painted signs as they really stand out among crowded business storefronts. PASSION We are passionate about what we do — and we do it all. Get your sign done the Right Way!